Ample parking on the street, as well as a green P one block away. Earlscourt Streetcar stop, right in front of the restaurant. For catering inquiries, please visit the Catering section of our website. Thoughtfully sourced southern style BBQ in the heart of Corsa Italia on St Clair Ave W. 50 Kinds of craft beer to choose from. Whether celebrating a special occasion with family and friends or hosting a corporate event, Earlscourt BBQ can accommodate all your special event needs. Our gravy is meatless too. Tortilla chips with salsa. Our chips are smoked and fried in house. Just cheese, to satisfy your friends who don't eat meat. A tasty blend of cream, American & cheddar cheese with bread crumb topping. Our mac 'n' cheese is more creamy than gooey. Aka salsa, this is the meatless option. 2-3 naturally pastured pork side ribs, smoked for 4 hours & finished in apple. You asked for it. This section is completely gluten-free too. Smoked chicken strips, kale & carrots in a creamy caesar dressing with corn tortilla croutons. The salad version of our pork & kimchi rolls: Kimchi, kale, carrots, pulled pork, pickles, spicy Thai dressing, corn tortilla croutons. It's what our food eats and is completely vegan. Kale, cabbage, carrots, red onion, pico de gallo, pumpkin seeds, cranberries, corn tortilla croutons. Option to add meat. Available in half rack or full rack. Available by the half pound or full pound. These are the full wing, not the split wing that wing restaurants serve. Available in portions of 5 or 10. Available for dine-in only, ask about today's dessert. Great vibe in the place with an energetic staff . Food was fabulous and plentiful. The selection of sides was enough to satisfy anyone. Some of the best bbq I've had. Always have good service. I had read some good reviews about this place and we were definitely not disappointed. There was a table of 10 of us altogether and the waitress was super fun and nothing was a problem to her. The food was great - v. tasty. We definitely weren't left hungry afterwards! I got the Brisket with a side of coleslaw and a side of mac n cheese which were both great. The Brisket was slow cooked and smoked for 20 hours, enough said! Great atmosphere in the place. Both the waitress and the barman were super friendly and added to our overall positive experience. Will definitely be back! :) Hopefully sooner rather than later! Amazing chill spot that really embraces the BBQ joint vibe and feel. The food is too notch and the portions are great for the price. We’ll definitely be back for more pickle chips, craft beers and meat of course!! Jason and Judith did a terrific job of making us comfortable. From their ease in explaining the sourcing of the menu to suggesting great options from the well crafted draft menu, it was a memorable experience! Great service, great vibe and awesome food! The owner and his staff are warm, friendly and knowledgeable about good bbq, and the owner remembers his guests from one visit to another. He stops by each table to shmooze with his guest, making it a homey atmosphere. The food isn't loaded with sauces, so it's not messy, and the spice level is just right. A couple of veggies wouldn't hurt, the meat is great. Overall okay spot to grab some beers and okay food, the beef brisket wasn't the best but the mac and cheese, corn bread were the highlights for me. I have been twice to this restaurant and have had a great meals both times. 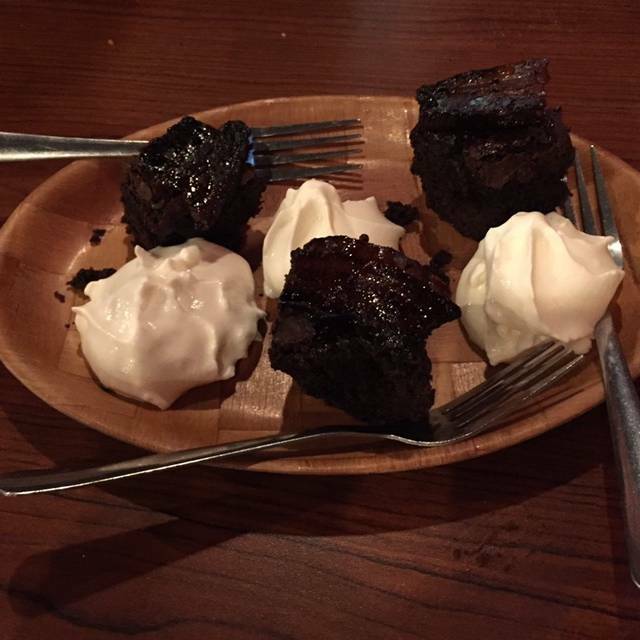 The food has always been incredible and the service has matched. The first time I went in I had a great conversation with the owner as I had just come back from Nashville so we were talking about bbq and it was amazing. Love this place, definitely recommend it if you want fantastic authentic bbq. Our mains took an incredibly long time to arrive. And when they finally did it was all at different times, which made for awkward eating. The chef cannot poach an egg... it was Simply a raw egg. The server was not accommodating when we sent it back, claiming that when the whites are runny like that it’s perfection. Will not eat here again. They do not know how to run a restaurant. The server was friendly, but our meals came out 90 minutes after we ordered and were inedible. I'm sure they know a lot about BBQ and their catering business may not be as bad, but as a restaurant patron, I was so upset that we chose this restaurant to celebrate Father's Day. They should close up shop until they have someone with experience running a restaurant floor on staff. Had a wonderful meal with friends! Staff is amazing and so knowledgeable. Will return very soon. It’s a great place. Excellent food, beer, and service! Amazing! Such a great staff cooking the city’s best BBQ! Highly recommended for good food and craft beer! 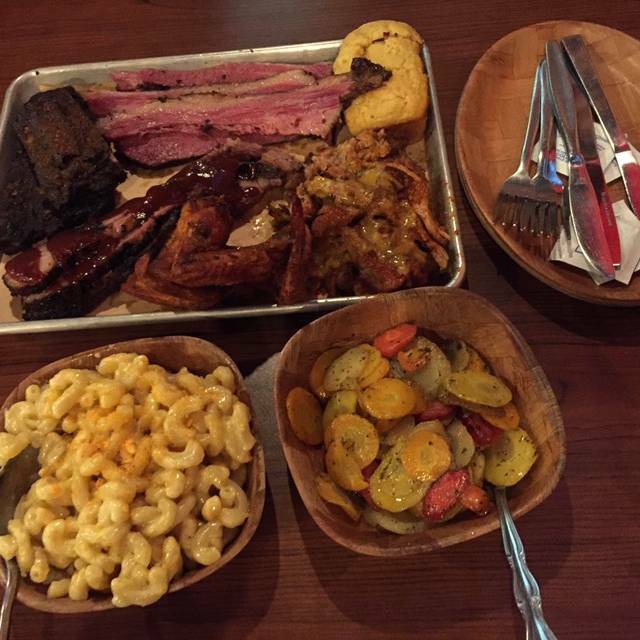 We heard the food was delicious, and the smoked meats did not disappoint. Even better, was the large craft beer selection and the fact that chef Jason sources as much as he can locally. Amazing food as always. One in our group was especially pleased with the craft beer selection available on tap. We were a large group and we were all happy with food quality, taste, price, and the service. Took my family here, because we heard about the restaurant. Delicious and good value. I will be back. We were a large group of people going out to eat but wanted something close by where we were staying. Everyone liked the idea of bbq, so we head out there. It is tucked down below a bank or something of that ilk but the moment you open the door, the smell of smoke and bbq envelops you. I was kinda worried at first because it didn’t seem that crowded. But once we had our food the worries were over. The first few chews, I thought it was pretty good. Then suddenly this second wave of heat just came through that did not over power the first taste but rather harmonized with it. I came from the land of bbq in the good old US of A, and this was some of the best bbq I have had.